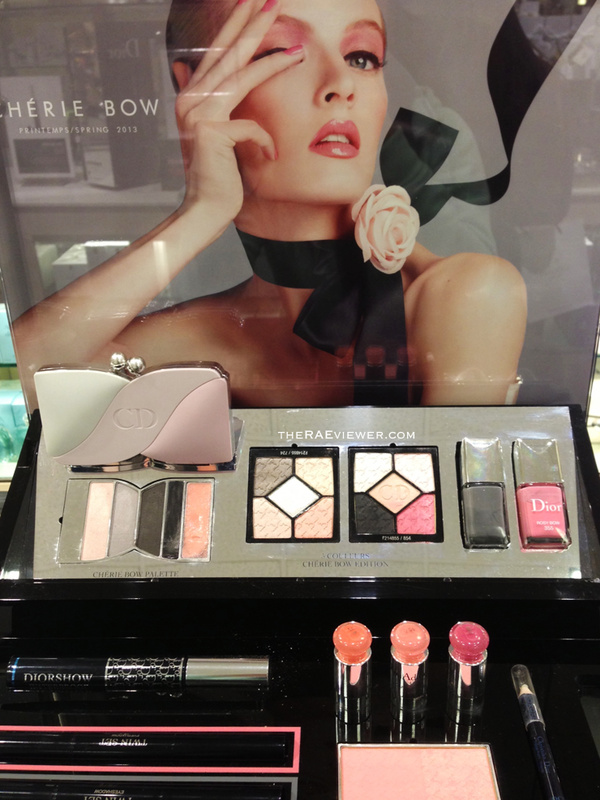 As promised in my recently posted Spring '13 Haul video [view now], here is my take on Dior's Cherie Bow for Spring 2013 Makeup Collection. 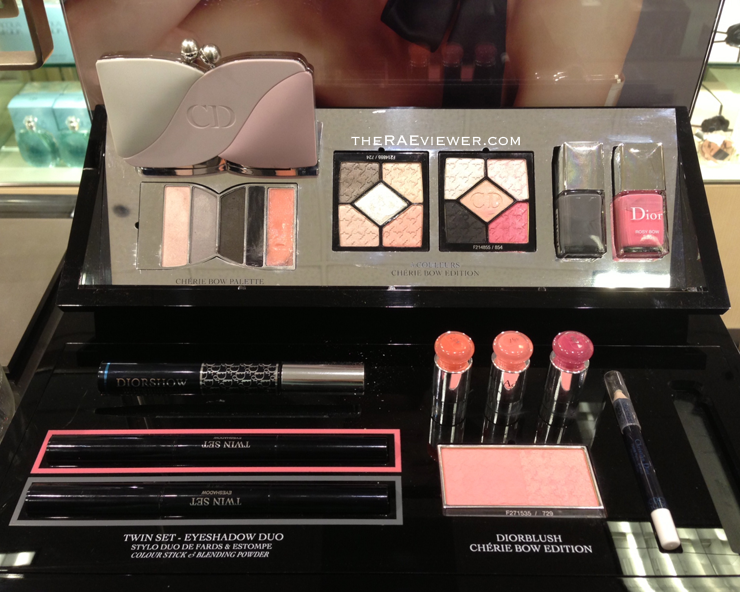 Upon seeing the press photos in December, I had placed the Cherie Bow palette at the top of my wish list. I was, however, a bit disappointed when I took a good look at the display palette at Nordstrom. 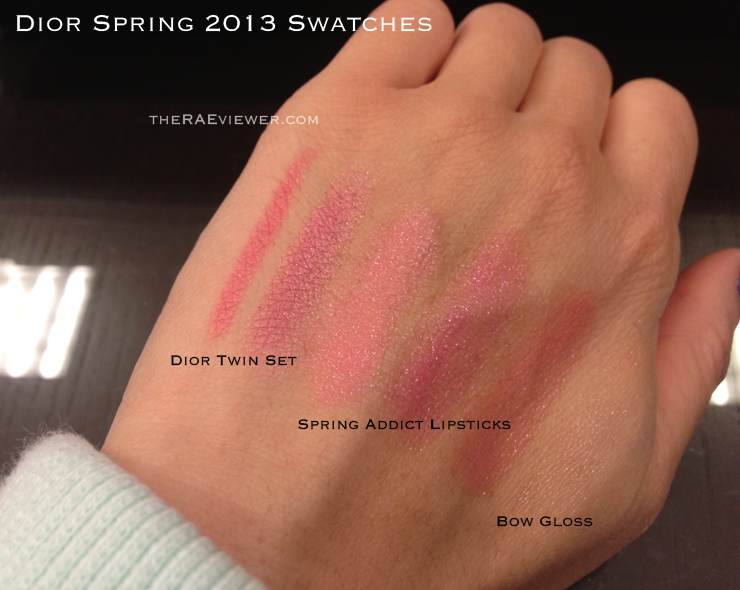 Find out why & view the swatches after the jump! Now, I adore Dior eyeshadows. 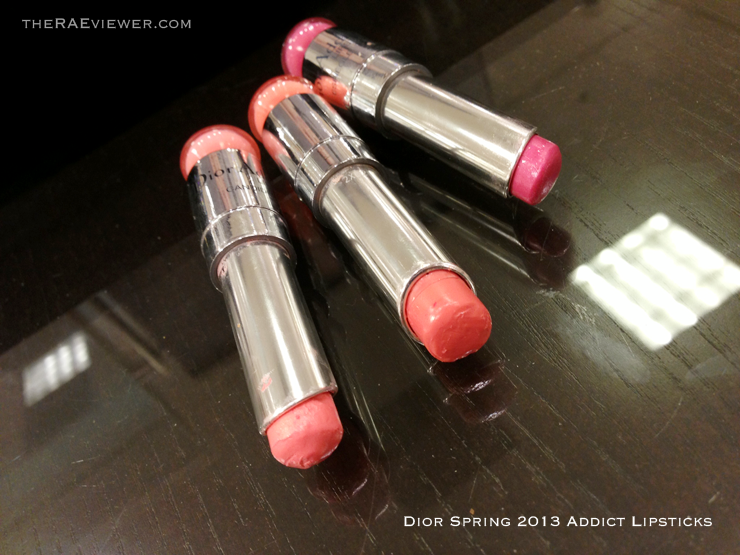 They were my first designer makeup love, and I own the most Dior quints out of any other! These three Cherie bow palettes, however, lacked in 'wow' factor for me. Considering I have so many of these quints, I was looking for something special but the palettes are themed in colors that I rarely reach for. The Cherie Bow palette has gorgeous packaging, so feminine and sweet, but the colors are very muted except for the charcoal.. a shame they used such a stale theme. I have seen far too many limited edition Dior clutches like this, so I can only hope to see more interesting color combinations in the future. The liner shade was well pigmented, but the black from my Guerlain Liu palette [see here] is equally as dark, if not a smidgen smoother. The gloss that looks to be such a pretty pink in the pan is virtually colorless, with a lot of glitter particles that would simply cause my lips to end the day in a peeling mess. I personally could not justify the $80 price tag and believe me, I have become quite gifted at justifying almost anything when it comes to cosmetics. The Cherie Bow Edition quints did not stir up my curiosity, either, since the one to the left (Rose Ballerine) was too natural and all four paler shades looked nearly identical on me when swatched. At $61 apiece, every shade in the palette should be distinguishable. The quint to the right (Rose Charmeuse), the one with the black and hot pink shades, was interesting enough. But again, I have plenty of black shadows both in single and palette form, and I have only ever worn hot pink on my eyes a whopping two times. Clearly, this was not the collection for me.. but I look forward to the Summer editions of eyeshadows, when Dior usually strikes my fancy. 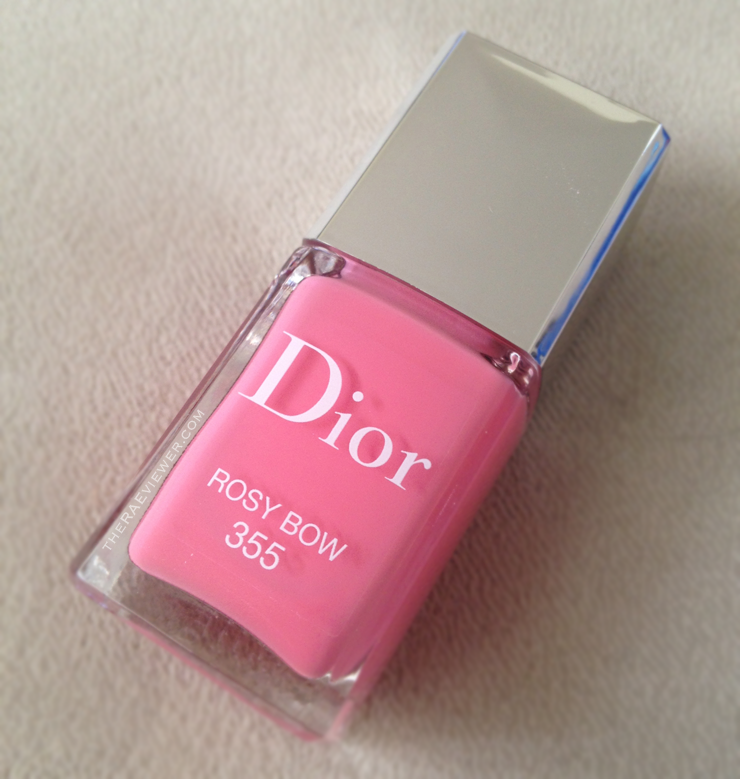 I did, however, pick up the Rosy Bow Vernis for myself. It is very similar to Chanel's May from last Spring. 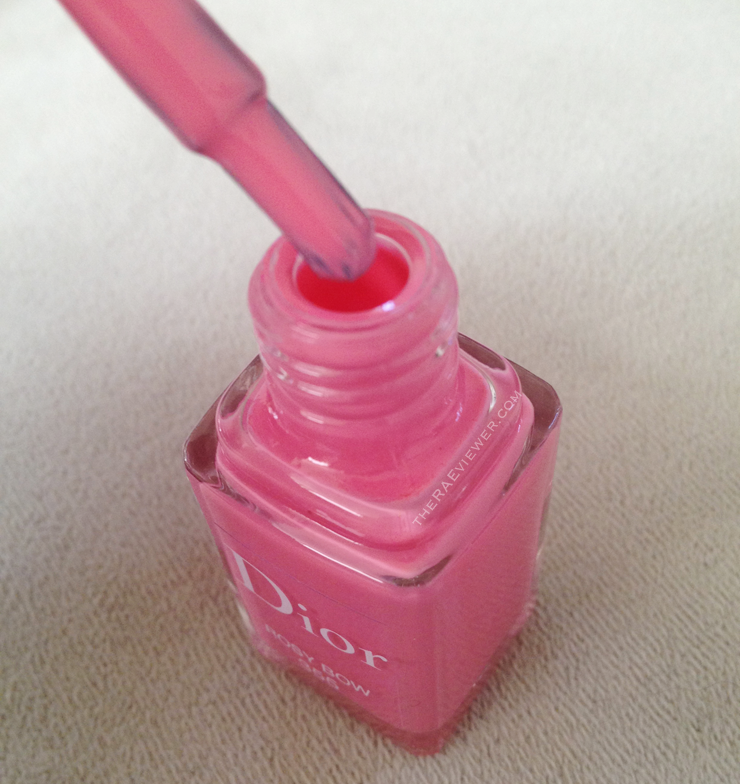 Again, Dior.. not very original but the polish applies well. It has been on my toes for the past week, no chips! I recommend two coats. 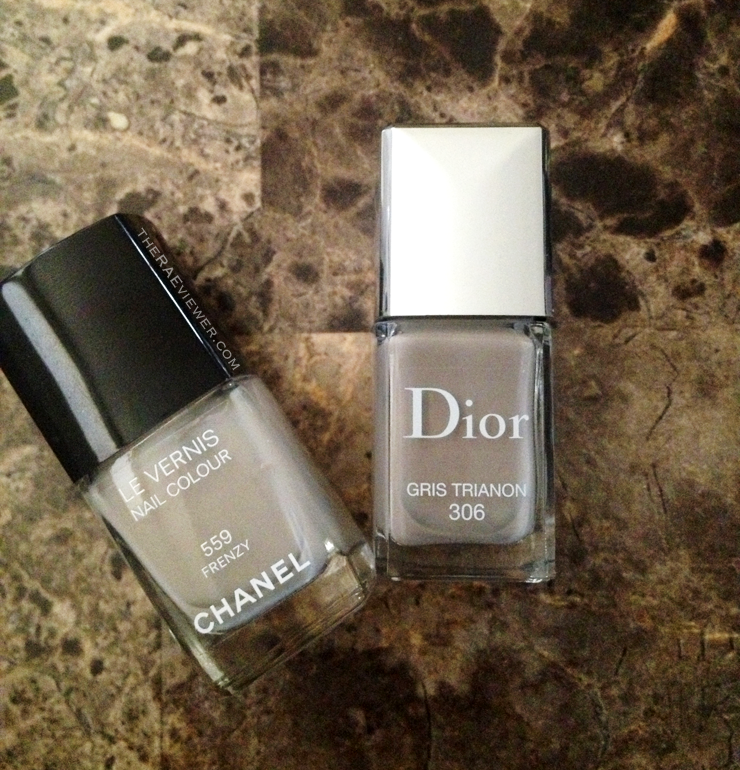 Dior polishes tend to chip easily on my fingers because the formula is more dense than that of Chanel's, so they work best as pedicure shades. Below you will find comparison photos, and you will see that Chanel's May is slightly milkier. I find that Rosy Bow is just bright enough to be worn as a pedicure shade all year round, while May is an appropriate shade for a pink manicure all year round since it is slightly more muted. 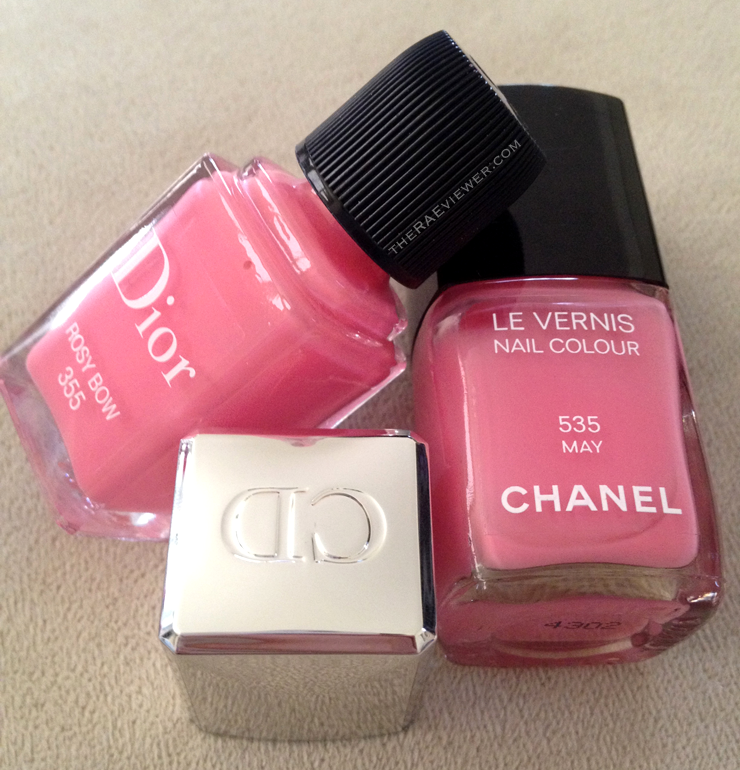 These pinks pack just enough punch, feminine but not loud or gaudy. If you have May, however, you can safely pass on Rosy Bow. The same cannot be said for Gris Trianon, the other shade in this Cherie Bow collection. I purchased Gris Trianon for my best friend as a Valentine's Day present, and it has turned out to be a rather interesting shade. 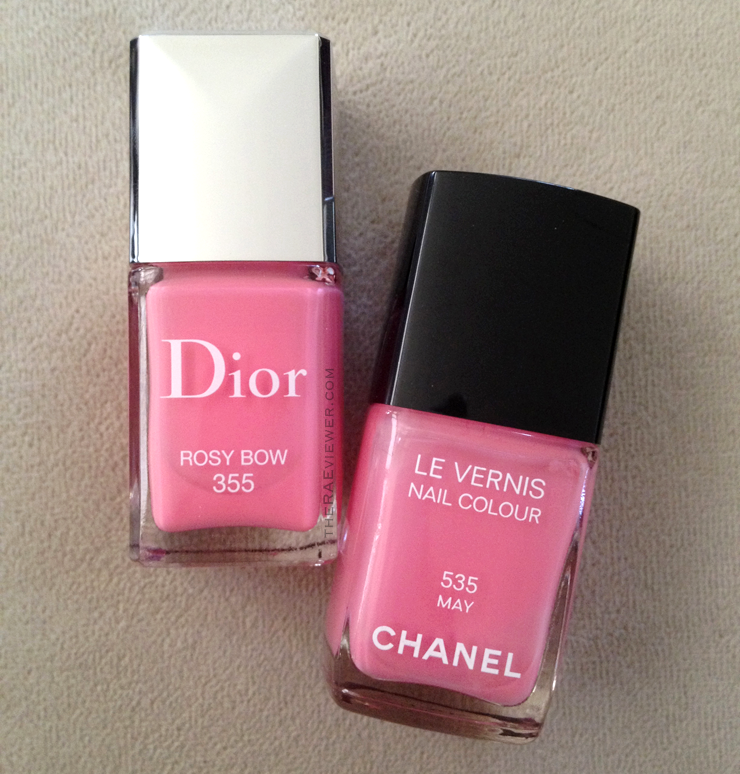 It is a lighter version of Chanel Frenzy, but owning both is justifiable! Frenzy can look a little stark against my yellow-toned complexion due to the slightly more white base, but Gris Trianon has just enough beige to look absolutely neutral. It looks beautiful, clean and classic against Tammy's fair yellow-toned skin, and we highly recommend it. 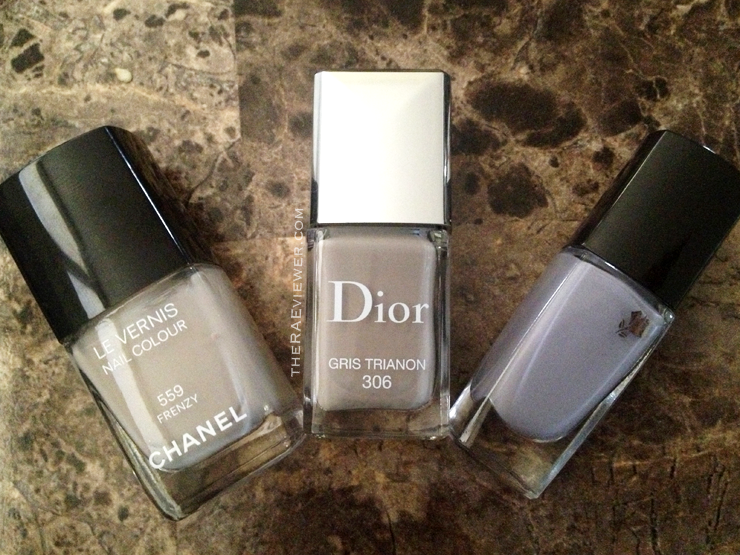 I also included my favorite true grey nail polish by Lancome the photo above so you could see the difference in the tones. 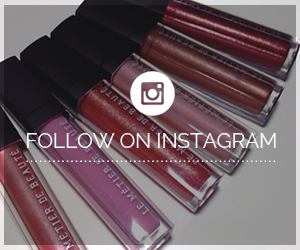 Now for the Addict lipsticks! I know some of you swear by these, so I made sure to take swatch photos. All three Cherie Bow editions are wearable and smoothly applying, but I chose to take Charmante home with me (surprise, surprise). Candide looks beautiful on those with fairer skin, but it had the Nicki Minaj effect against my warm light-medium complexion.. too much contrast. 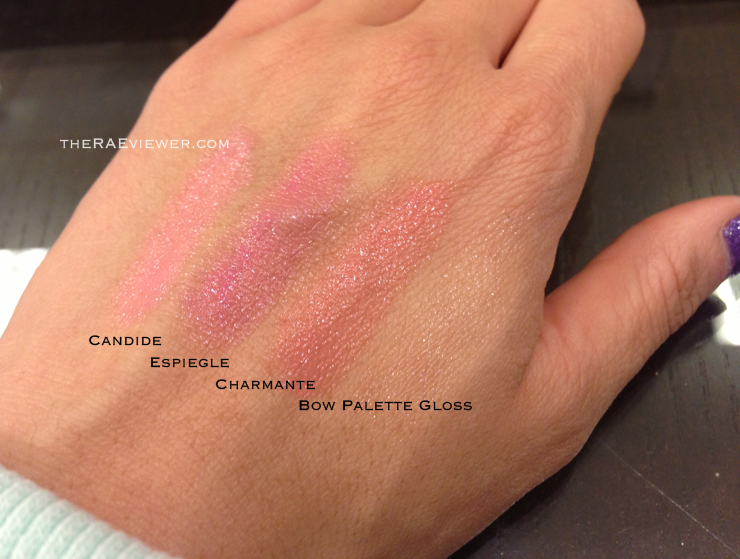 Espiegle is a brighter fuchsia pink, but these shades tend to bring out the mauve in my lips so I passed. 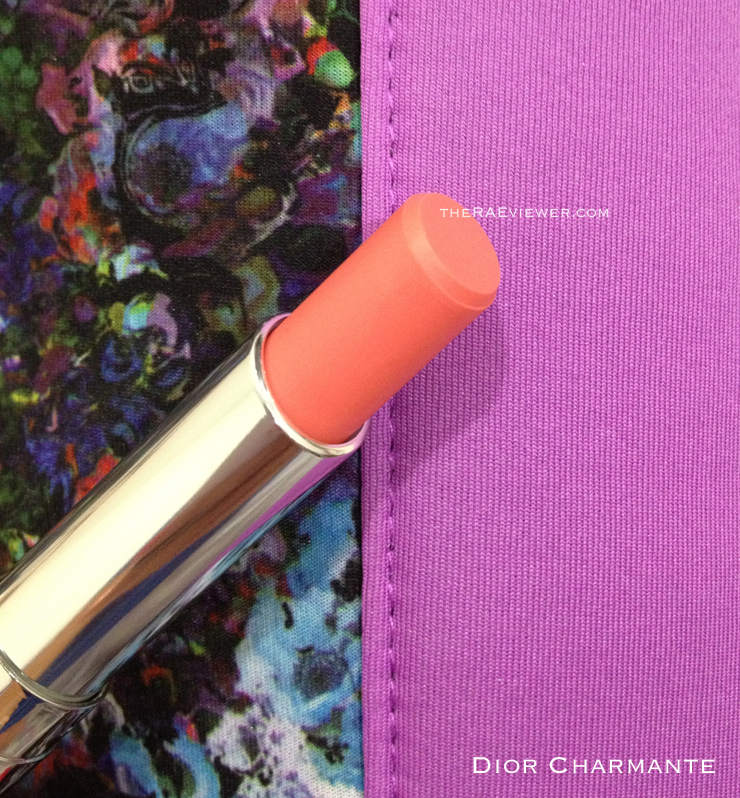 Charmante is a sheerer peach, but you can build up the color. 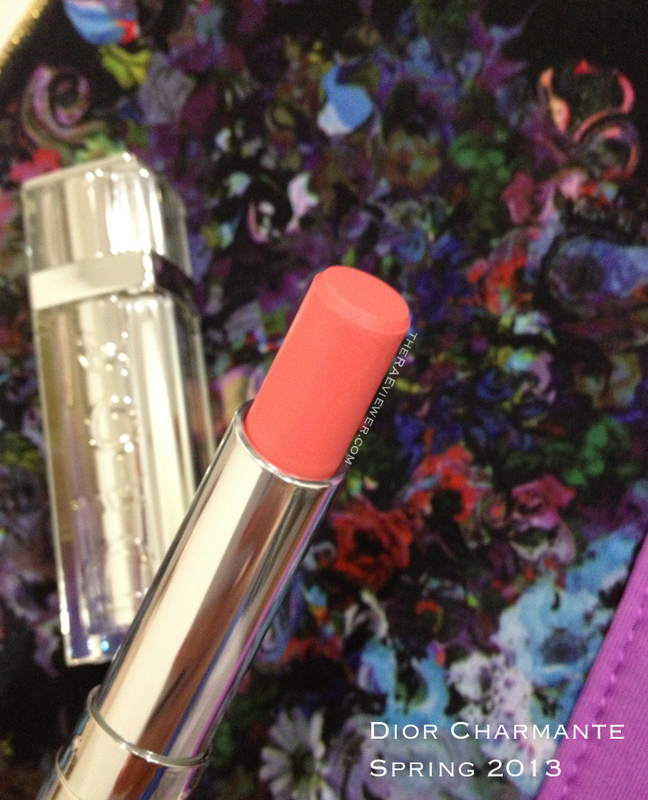 This is likely my favorite Addict Lipstick to date. Below is a stock photo of the new Dior Twin Set Eyeshadow Duos, a fun new product. I like the concept, a wide pencil liner on one end with a matching shimmy loose powder eyeshadow applied with a sponge on the other. I had swatches of the Grey Sigh shade, but I accidentally deleted it, so I hope the clear swatch of Ballerina Pink will do! Grey Sigh is a shimmery charcoal, which I may return to the counter for. The pencil end is very creamy and can be used as an eyeliner, eyeshadow, or eyeshadow base. 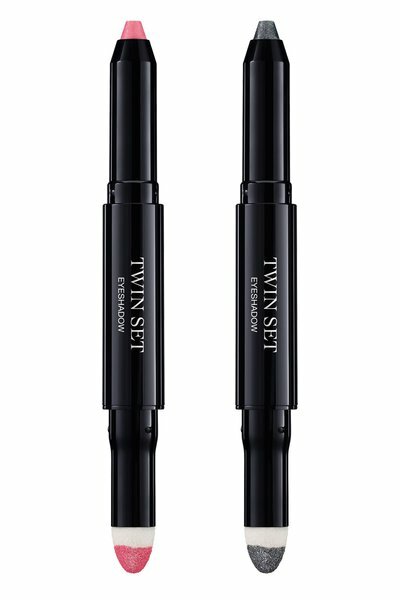 At $30 apiece, you are indeed paying for the convenience factor, but if you are the type to wear a mono-colored eye regularly, these Twin Sets may be splurge for you. If Ballerina Pink were a softer pink and less of a hot pink, I definitely would have taken it home with me. 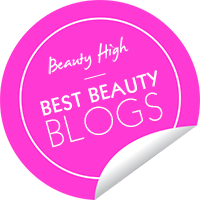 It is incredibly well pigmented and easy to use. It is, however, not a practical color considering this is a practical product. FYI: this is the pink worn on the campaign ad model's eyes. 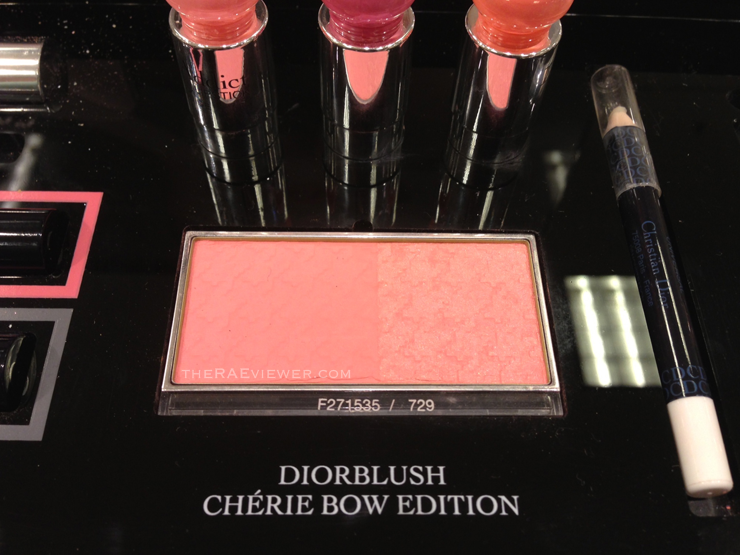 And last but not least, the Cherie Bow blush. I was never a fan of this duo formula, as I much prefer Chanel blushers, but I had actually been interested in purchasing this warm medium pink that is called Pink Happiness. I do agree with Temptalia.com's editor Christine, who believes this limited edition version is more stiffly pressed due to the embossment of the design and ultimately does not apply as smoothly. Color payoff is average, so it is best for those with light or medium complexions. Bottom Line: Dior Spring 2013's Cherie Bow collection is unfortunately lacking in inspiration and falls short on execution despite the lovely and feminine packaging, so stick to the Vernis or Twin Sets for the most cost effective splurges! This was really informative! Thank you so much for doing such an in-depth review of the products. 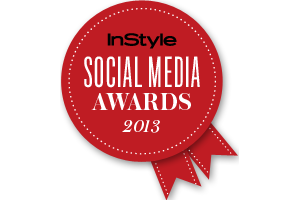 Really appreciate it! I'm really disappointed that you didn't like the quints! I purchased the one with the hot pink and I'm loving it. Although, since you have so many quints (this is my first!) I can imagine why you'd pass on it. I totally agree with you when it comes to the twin-set. I thought long and hard about it and went back for the charcoal grey, it's stunning! It's easy to apply but definitely has alot of fall-out when applying. Great review and swatches, the Dior Twin Set Eyeshadow Duos seem interesting. This collection was such an all around disappointment for me! I couldn’t work with those colors at all. Great review!